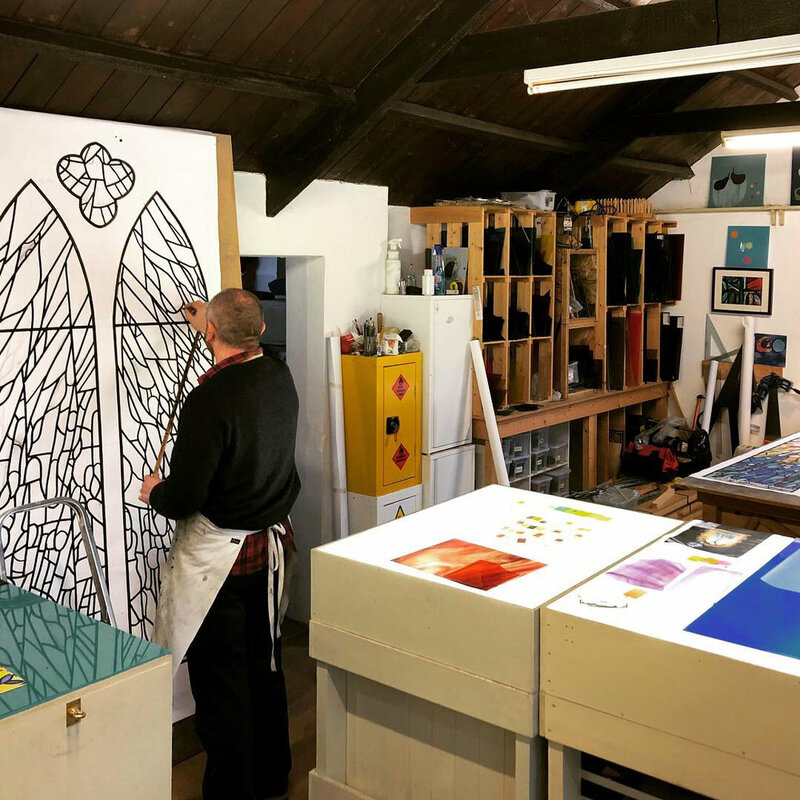 A new commission, designed by Christian, is underway for a memorial window, with the theme of the Pentecost, for All Saints Church Penarth, South Wales. The drawing are complete and the glass is being cut ready to be painted on the easel. More will follow soon. Earlier this year Christian was proud to have been awarded a continuing professional development award from The Worshipful Company of Glaziers & Painters of Glass in order to attend a silver stains and enamels master class with Jonathan Cooke in the Glass department in Swansea School of Art. 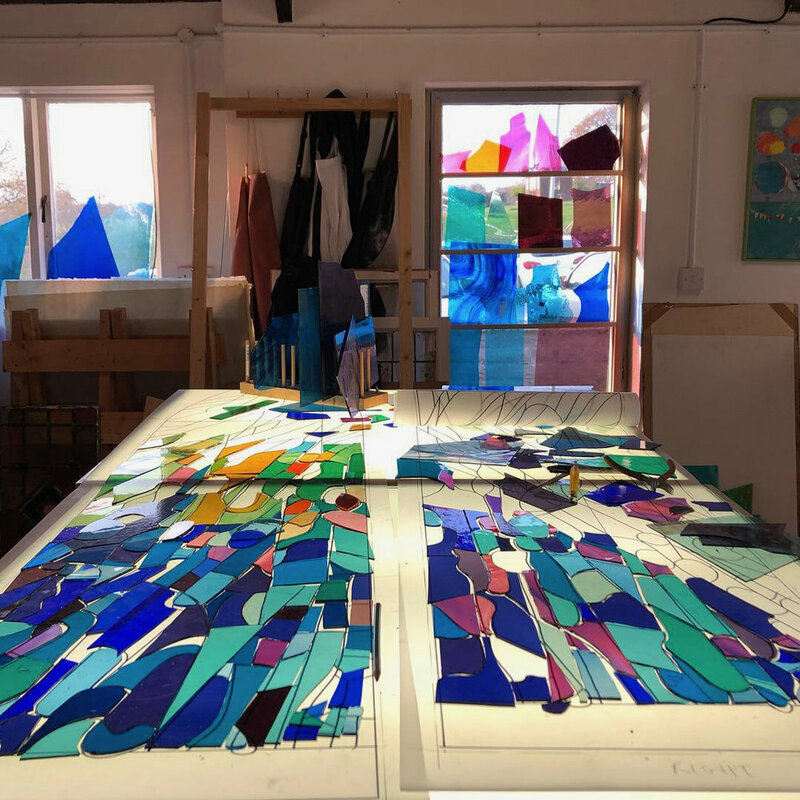 This was an in-depth three day workshop exploring the advanced use of silver stains and enamels in stained glass. Many thanks to the Glaziers Company for this opportunity and to Jonathan for his tuition. Work has finally come to an end on the chapel in Cardiff Royal Infirmary. It has been a good few months of work calling on many different skills including glazing, repairs, glass painting, staining and making templating and installing all of the window guards. There will be more photos soon in the Stained Glass section.